This BodySolid Preach Curls Station is designed to isolate and maximize Biceps, Triceps and Forearm muscle concentration. Extra-thick, DuraFirm pad. Bar saddle included. 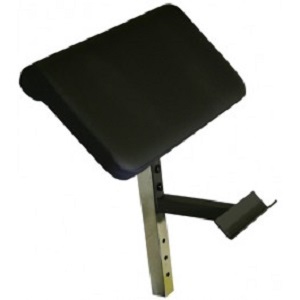 Cannot be used independently as it must be attached to a weight bench.